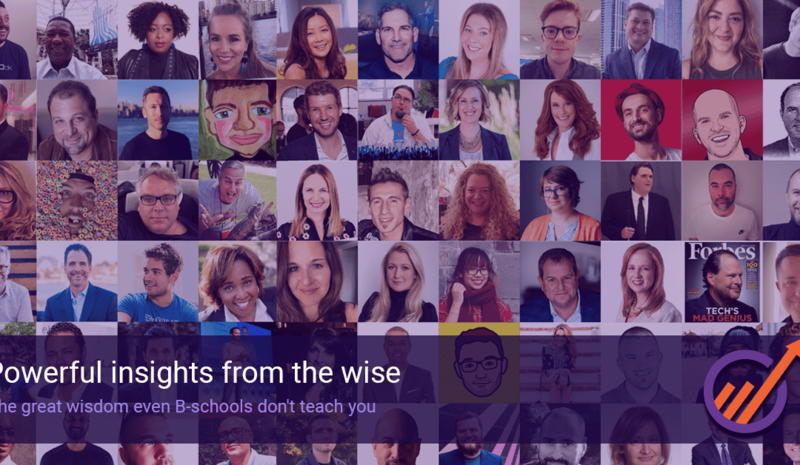 A compilation of the best influencer quotes from around the world. If you wish to startup, flourish, explore and sustain in the dynamic and competitive business environment today, you ought to be motivated and inspired, all the time. Inspiration can come from various sources, one of the most widespread and easily available source being the shared wisdom of the great thought leaders from the business and marketing world. There is no better way than to learn the tips and tricks of the trade than right from the experts. The words of the wise can be valuable lessons and insights into the various aspects of business and marketing. There is a lot of such information scattered over the social media and Internet which can become a good knowledge bank for marketers. After from cutting-edge business solutions, Engagebay is also known for their quality and unique content. And, this time it is something BIG and Exciting! In an attempt to bring the best of quotes and sayings from the best social media influencers, Engagebay brings to you the largest compilation that you will totally love. It was tedious task and a need precision and commitment. And, this mammoth task was accomplished by Radhika Roy, Head of Marketing at Engagebay. And, the result is …. 600+ contemporary influencers, more than 8000 inspiring quotes and an amazing collection for marketers. The quotes have been collected from the immense wisdom of a large number of global thought leaders, compiled from blogs, podcasts, interviews, Shark Tank events, tweets, etc. It is a one-stop reference hub for individuals and businesses that are looking for motivation, inspiration and business tips. They have been segregated into various categories like Entrepreneurship, Content marketing, Influencer marketing, SaaS, Small business marketing tips etc. It was recently launched on the website and a Press Release. Sreedhar Ambati, CEO, EngageBay says: “the collection provides such wisdom and practical knowledge that every marketer and entrepreneur around the world could use this to self-improve every day”. It is definitely a good source of wisdom for entrepreneurs which can be accessed, read, shared and followed. 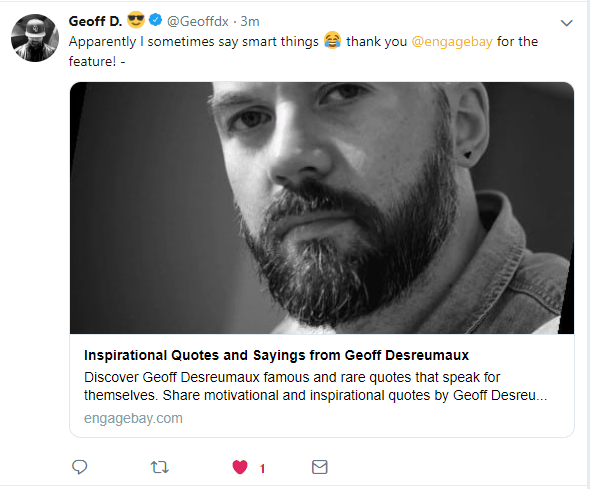 Engagebay has also reached out to many of these social influencers letting them know about this endeavor. It is always overwhelming to get a positive response. You can also read the Press Release here. Make sure you visit the link and check it our yourself. Read, Share, Get Inspired!